Choose the Genre. Pitch the Story. Make the Film. Are you mighty? 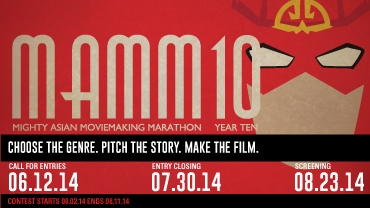 Take the Mighty Asian Moviemaking Marathon challenge: make an 8-minute short film in 12 days. Think it’s easy? Find out. More. 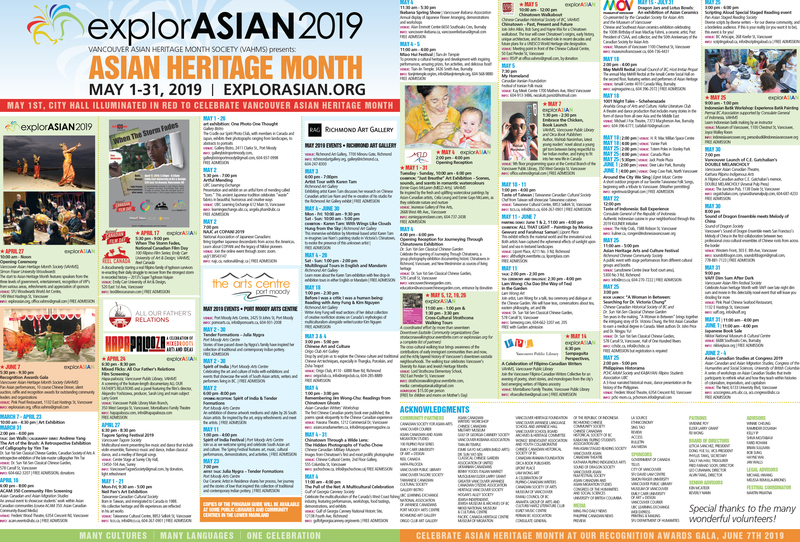 The Vancouver Asian Film Festival (VAFF)’s Mighty Asian Moviemaking Marathon (MAMM) kicks off its 10th Year with our open call for entries! Are you and your team up to the challenge of being super-filmmakers? Gather your team and submit your registration through our online form. Your team will then get to pitch your idea and create an original short film between the contest dates. Winning submissions will be shown at the concluding Gala Screening and afterparty. Registration, contest rules, eligibility, and list of genres will be posted online at www.vaff.org very soon. Stay tuned! REGISTRATION FOR MAMM 10 IS COMING SOON. What’s the full list of prizes? What’s the requirement? Who’s on the judging panel? Who’s in MAMM 10 and what are the creative elements? Check back for updates, and for information on registration, contest rules, eligibility, and list of genres. explorASIAN is proud to be partners with VAFF 2014. See you all there!